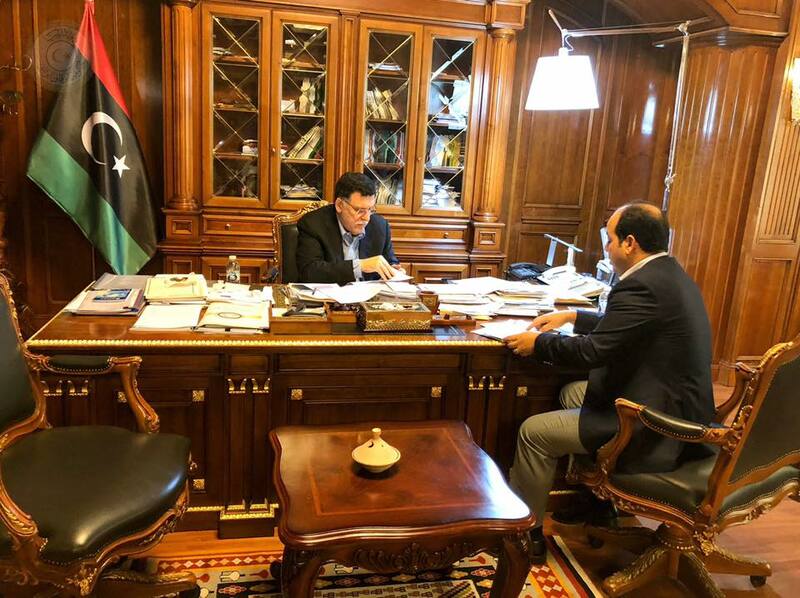 The Chairman of the Presidential Council (PC), Fayez Al-Sarraj, discussed with his deputy Ahmed Maiteeg the programs adopted for the security and economic reforms. The two sides discussed the implementation steps of the economic reform program and the procedures for addressing the implications of its implementation. They also touched upon the file of the security arrangements and the coordination between the security committee in charge and the ministries and government agencies concerned, according to the information office of the PC head.